09/1992- 07/1995 M.Sc., Department of Applied Physics, East China University of Science and Technology, Shanghai, China. Dissertation: The Investigation of Liquid Crystal Alignment and the Preparation of Nano-sized Composite Films using LB Technique. 06/2002- Present Research Scientist, College of Optics & Photonics /CREOL, University of Central Florida, USA. 08/2001- 03/2002 Optical Engineer, Lightwaves2020 Inc., USA. 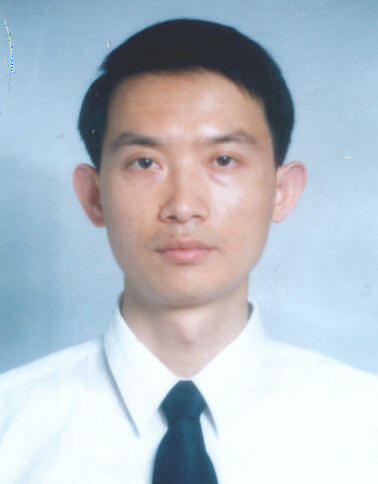 09/2000- 06/2001 Faculty, Department of Optical Science & Engineering, Fudan University, China. 09/1998- 09/2000 Faculty, Lab of Laser Physics and Optics, Department of Physics, Fudan University, China. Ruibo Lu, S. Gauza, and S. T. Wu, "LED-Lit LCD TVs", Mol. Cryst. Liq. Cryst. Vol. 488 (Aug. 28, 2008) p246-259. Ruibo Lu, Z. Ge, and S. T. Wu, “Wide-view single cell gap transflective liquid crystal display using slit-induced multidoamin structures”, Appl. Phys. Lett. Vol. 92, (May 12, 2008) p191102-1~3. Z. Ge, M. Jiao, R. Lu, T. X. Wu, S. T. Wu, W. Y. Li, and C. K. Wei, "Wide-view and broadband circular polarizers for transflective liquid crystal displays", J. Display Technology Vol. 4 (June 2008) p129-138. S. G. Kim, S. M. Kim, Y. S. Kim, Y. J. Lim, H. K. Lee, S. H. Lee, R. Lu, and S. T. Wu, “Trapping of defect point to improve response time via controlled azimuthal anchoring in a vertically aligned liquid crystal cell with polymer wall”, J. Phys. D: Appl. Phys. Vol. 41 (Feb. 2008) p055401-1~4. X. Nie, H. Xianyu, R. Lu, T. X. Wu, and S. T. Wu, "Pretilt angle effects on liquid crystal response time", J. Display Technology Vol. 3, (Sept. 2007) p280-283. Ruibo Lu, Q. Hong, S. T. Wu, K. H. Peng, and H. S. Hsieh, "Quantitative comparison of color performances between IPS and MVA LCDs", J. Display Technology Vol. 2 (Dec. 1, 2006) p319-326. Ruibo Lu, Q. Hong, and S. T. Wu, "The Characteristics of a 12-domain MVA-LCD", J. Display Technology Vol. 2 (Sept. 2006) p217-222. Ruibo Lu, Q. Hong, and S. T. Wu, "An O-plate compensated in-plane switching liquid crystal display", J. Display Technology Vol. 2 (Sept. 2006) p223-232. Ruibo Lu, Q. Hong, Z. Ge, and S. T. Wu, "Color shift reduction of a multi-domain IPS-LCD using RGB-LED backlight," Opt. Express Vol.14, (June, 2006) p6243-6252. Ruibo Lu, S. T. Wu, Q. Hong, and T. X. Wu, "Wide-view multi-domain in-plane-switching LCD", Mol. Cryst. Liq. Cryst. Vol. 453 (2006) p379-392. Ruibo Lu, S. T. Wu, Z. Ge, Q. Hong, and T. X. Wu, “Bending angle effects on the multi-domain in-plane-switching liquid crystal displays", J. Display Technology Vol.1 (Dec., 2005) p207-216. Q. Hong, T. X. Wu, R. Lu, and S. T. Wu, “A wide-view circular polarizer consisting of a linear polarizer and two biaxial films", Opt. Express Vol.13 (Dec. 2005) p10777-10782. Z. Ge, T. X. Wu, R. Lu, X. Zhu, Q. Hong, and S. T. Wu, “Comprehensive three-dimensional dynamic modeling of liquid crystal devices using finite element method", J. Display Technology Vol.1 (Dec., 2005) p194-206. Q. Hong, T. X. Wu, X. Zhu, R. Lu, and S. T. Wu, “Design of wide-view and broadband circular polarizers", Opt. Express Vol.13 (Oct., 2005) p8318-8331. J. Li, C. H. Wen, S. Gauza, R. Lu, and S. T. Wu, “Refractive indices of liquid crystals for display applications" (Invited review paper), J. Display Technology Vol.1 (September 2005) p51-61. Ruibo Lu, X. Zhu, S. T. Wu, Q. Hong, and T. X. Wu, “Ultra wide view liquid crystal displays" (Invited review paper), J. Display Technology Vol.1 (September 2005) p3-14. Yue Zhao, Nidhi Mahajan, Ruibo Lu, and Jiyu Fang, “Liquid-crystal imaging of molecular-tilt ordering in self-assembled lipid tubules”, PNAS, Vol. 102 (May 2005) p7438–7442. Nidhi Mahajan, Ruibo Lu, Shin-Tson Wu and Jiyu Fang: "Patterning polymerized lipid vesicles with soft lithography", Langmuir, Vol.21 (2005) p3132-3135. Q. Hong, T. X. Wu, X. Zhu, R. Lu, and S. T. Wu, “Extraordinary-high-contrast and wide-view liquid crystal displays”, Appl. Phys. Lett., Vol.86 (2005) p121107. Ruibo Lu, Shin-Tson Wu, and Keshu Xu, “Fabrication of surface-stabilized ferroelectric liquid crystal display with stripe-shaped domain structure”, Jpn. J. Applied Physics, Part I, Vol.42, (2003) p1628-1632. Ruibo Lu, Keshu Xu, Shuyan Zhang, Yandong Zhang and Zhongjing Xing: “The investigation of ferroelectric liquid crystal alignment using the obliquely-evaporated SiO films”, Infrared Technology Vol.22, Supplement (2000) p77-812. Ruibo Lu, Keshu Xu, Shuyan Zhang, Yandong Zhang, Jianhua Gu, Huihua Deng and Zuhong Lu: “The characteristics of polymer LB films aligned ferroelectric liquid crystals”, Chinese Journal of Chemical Physics Vol.13, No.1 (2000) p103-108. Ruibo Lu, Keshu Xu, Jianhua Gu and Zuhong Lu: “AFM investigation of polymer LB films on the alignment of ferroelectric liquid crystal”, Physics Letters A Vol.260 (1999) p417-423. Ruibo Lu, Keshu Xu, Xiang Gu, Yongkang Le, Huihua Deng, Ning Gu and Zuhong Lu: “The characteristics of SSFLC cells with stripe-shaped domain structure”, Molecular Crystal and Liquid Crystal Vol.333 (1999) p35-45. Ruibo Lu, Keshu Xu and Zuhong Lu: “Electro-optic characteristics of surface-stabilized ferroelectric liquid crystal devices with the stripe-shaped domain structure”, Liquid Crystal Vol.26 (1999) p553-556. Ruibo Lu, Keshu Xu, Shuayan Zhang, Xiang Gu and Zhongjing Xing: “Preparation of stripe-shaped domain structure in ferroelectric liquid crystal and the fabrication of spatial light modulator”, ACTA PHYSICA SINICA (Overseas Edition) Vol.8, No.9 (1999) p670-681. Ruibo Lu, Keshu Xu, Shuyan Zhang, Jianhua Gu and Zuhong Lu: “The alignment effect of naphthalocyanine LB films on liquid crystals”, ACTA PHYSICA SINICA Vol.48, No.12 (1999) p2289-2298. Ruibo Lu, Keshu Xu, Yongkang Le, Zhongqing Xing: “The characteristics of SnPc doped ferroelectric liquid crystal cells”, Supramolecular Science Vol.5 (1998) p491-494. Ruibo Lu, Keshu Xu, Sheng’an Xiao, Yongkang Le, Xuewu Zhou, Haiming Wu, Jianhua Gu and Zuhong Lu: “Liquid crystal alignment on polymer films”, Molecular Crystal and Liquid Crystal Vol.325 (1998) p51-62. Ruibo Lu, Keshu Xu, Juhua Zhong, Zhaokui Zhang, Haiming Wu and Zuhong Lu: “Liquid crystal alignment using naphthalocyanine LB films”, Physics Letters A Vol.231 (1997) p289-293. Ruibo Lu, Keshu Xu, Yin Zhang, Jianhua Gu, Haiming Wu and Zuhong Lu: “Liquid crystal alignment controlled by LB films”, Physics Letters A Vol.231(1997) p449-452. Ruibo Lu, Keshu Xu, Juhua Zhong, Zhaokui Zhang, Haiming Wu and Zuhong Lu: “E-O characteristics of Pc LB films aligned LC cells”, SPIE Vol.2778 (1996) p973-974. Ruibo Lu, Keshu Xu, Juhua Zhong, Zhaokui Zhang, Haiming Wu and Zuhong Lu: “The characteristics of Pc LB films aligned LC cell”, SPIE Vol.2866 (1996) p497-500. Ruibo Lu, Keshu Xu, Z.K.Zhang, J.H.Zhong, G.Z.Li, H.M.Wu and Z.H.Lu: “Nematic liquid crystal alignment on phthalocyanine LB films”, Molecular Crystal and Liquid Crystal Vol.289 (1996) p77-87. Ruibo Lu, Juhua Zhong, Yingjun Gu, Zhaokui Zhang and Guozhen Li: “Preparation of phthalocyanine Langmuir-Blodgett films and their characteristics”, Journal of East China Univeristy of Science and Technology (Natural Science Edition) Vol.21 (1995) p517-520. Ruibo Lu, Juhua Zhong, Yingjun Gu, Zhaokui Zhang and Guozheng Li: “The characteristics of HAN liquid crystal cell aligned by LB films”, Chinese Letter of Liquid Crystal Vol.2, No.3 (1994) p209-213. Keshu Xu, Ruibo Lu, Xiang Gu, Shuyan Zhang and Zhongjing Xing: “Performance of multidomain ferroelectric liquid crystal devices”, Journal of University of Electronic Science and Technology of China Vol.27, No.7 (1998) p38-43. Keshu Xu, Ruibo Lu, Zhongjing Xing, Shuyan Zhang, Xiang Gu and Yandong Zhang, “Fabrication of Ferroelectric Liquid Crystal Devices”, SPIE Vol.3729 (1999) p94-100. Juhua Zhong, Ruibo Lu, Zhaokui Zhang, Yingjun Gu, Xiaonan Yang, Guozhen Li, Shihong Ma, Wencheng Wang: “Application of LB film technique in the alignment of liquid crystals”, Chinese Journal of Chemical Physics Vol.9, No.2 (1996) p174-179. Yandong Zhang, Keshu Xu, Ruibo Lu and Zhongjing Xing: “The characteristics of ferroelectric liquid crystal display”, Journal of Fudan University Vol.40, Vol.1 (2001) p91-94. Shuyan Zhang, Keshu Xu and Ruibo Lu: “Grey scale in surface stabilized ferroelectric liquid crystal display”, ACTA OPTICA SINICA Vol.21, Vol.5 (2001) p1-5. Chen Weijun, Kaitai Chen, Keshu Xu, Ruibo Lu and Yongkang Le: “A wide bandwidth and real-time optical wavelet transform system based on a matrix addressing liquid crystal device”, Chinese Journal of Lasers A Vol.25, No.6 (1998) p523-527. Xuewu Zhou, Keshu Xu, Shengan Xiao, Ruibo Lu, Yongkang Le and Weijun Chen: “Preparation of matrix-addressed ferroelectric liquid crystal device”, Chinese Journal of Lasers A Vol.24, No.7 (1997) p610-614. Shengan Xiao, Xuewu Zhou, Ruibo Lu and Keshu Xu: “Molecular orientation and electrooptical characteristics of surface stabilized ferroelectric liquid crystal” , ACTA OPTICA SINICA Vol.17, No.4 (1997) p508-512. Ruibo Lu, Xiangyi Nie, and S. T. Wu, "Color performance of a MVA LCD using LED backlight", IS&T/SID's Fifteenth Color Imaging Conference, 127-130 (Albuquerque, NM, Nov. 5-9, 2007). Ruibo Lu, S. T. Wu, K. H. Peng, and H. S. Hsieh, "Color performances of LCD TVs" (Invited paper) Asia Display, 417-422 (March 12-16, 2007, Shanghai, China). Ruibo Lu, S. T. Wu, Q. Hong and T. X. Wu, "A new fringe-field-switching LCD using trapezoid electrodes", SID Symposium Digest 38, 1175-1178 (2007) (May 21-25, Long Beach, CA). Q. Hong, T. X. Wu, R. Lu, and S. T. Wu, "Reduced-aberration tunable-focus liquid crystal lenses for 3D displays", SID Symposium Digest 38, 496-498 (2007) (May 21-25, Long Beach, CA). X. Nie, H. Xianyu, R. Lu, T. X. Wu, and S. T. Wu, "Pretilt angle effects on liquid crystal response time", SID Symposium Digest 38, 731-734 (2007) (May 21-25, Long Beach, CA). X. Nie, X. Hanqing, R. Lu, T. X. Wu, and S. T. Wu, "Pretilt Angle Effect on Liquid Crystal Response Time”, SID/ADEAC, p212-215 (Atlanta, Oct. 23-26, 2006). Ruibo Lu, Q. Hong, Z. Ge and S. T. Wu, "Transflective Liquid Crystal Display using In-Plane-Switching Effect”, Proc. 26th IDRC, p39-42 (Kent, Ohio, Sept. 18-21, 2006). Ruibo Lu, S. T. Wu, Q. Hong, and T. X. Wu, " A 12-domain MVA-LCD with Wide Viewing Angle and High Transmittance", SID Tech. Digest 37, p725-728 (San Francisco, CA, June 4-9, 2006). Q. Hong, T. X. Wu, R. Lu, and S. T. Wu, “A Wide-View Multi-Domain VA-LCD with High Transmittance and High Contrast”, SID Tech. Digest 37, p736-739 (San Francisco, CA, June 4-9, 2006). Ruibo Lu, Shin-Tson Wu, Qi Hong and Thomas X. Wu, "3-D Simulations on the Tilt Angle Effect of IPS-LCD", SID'05 Digest, p654-657 (Boston, MA, USA, 2005). Qi Hong, Thomas X. Wu, Xinyu Zhu, Ruibo Lu and Shin-Tson Wu, "Design of Liquid Crystal Displays with 10000:1 Contrast Ratio over ±85º Viewing Cone", SID'05 Digest, p658-661 (Boston, MA, USA, 2005). T. X. Wu, R. B. Lu, Q. Hong, Y. Huang, X. Y. Zhu, Z. B. Ge and S. T. Wu: “On the Modeling of Liquid Crystal Displays,” (Invited paper) 2003 IEEE LEOS Annual Meeting Conference Proceedings, p886-7 (Tucson, Arizona, Oct. 26-30, 2003). Ruibo Lu, Shin-Tson Wu, Qi Hong, Thomas X. Wu: “Liquid Crystal Variable Optical Attenuator Using In-plane Switching Effect”, Optics in the Southeast 2003--- Photonic Devices, Optical Materials, Macro and Nano-Optics, PSE 02 (Orlando, Florida, Nov. 12-13, 2003). Ruibo Lu, Keshu Xu, Shuyan Zhang, Yandong Zhang and Zhongjing Xing: “Ferroelectric Liquid Crystal Alignment Using the Obliquely-Evaporated Mono-oxide Silicon Films”, The 4th International Conference on Thin Film Physics and Application (Shanghai, May 22-24, 2000). Ruibo Lu, Keshu Xu: “Ferroelectric Liquid Crystal Alignment in the Surface-Stabilized Devices”, (Invited Paper) The International Conference on Optics & Optoelectronics’98 --- Silver Jubilee Symposium of the Optical Society of India (Dehradun, India, Dec. 9-12, 1998). Keshu Xu, Ruibo Lu, Zhongjing Xing, Shuyan Zhang, Xiang Gu and Yandong Zhang: “The Fabrication of Ferroelectric Liquid Crystal Devices” (Invited Paper) The International Conference on Optics & Optoelectronics’98 --- Silver Jubilee Symposium of the Optical Society of India (Dehradun, India, Dec. 9-12, 1998). Ruibo Lu, Keshu Xu, Yongkang Le, Zhongqing Xing: “The Characteristics of Tin Phthalocyanine doped Ferroelectric Liquid Crystal Cells”, The 7th International Conference on Molecular Electronics and Bio-Computing (Nanjing, Nov. 10-12, 1997). Ruibo Lu, Keshu Xu, Juhua Zhong, Zhaokui Zhang, Haiming Wu and Zuhong Lu: “The Characteristics of Phthalocyanine LB Films Aligned LC Cell”, International Conference on Holography and Optical Information Processing (Nanjing, Aug.26-28, 1996). Ruibo Lu, Keshu Xu, Juhua Zhong, Zhaokui Zhang, Haiming Wu and Zuhong Lu: “Eletro-Optic Characteristics of Pc LB Films Aligned LC Cells”, The 17th Congress of the International Commission for Optics --- Optics for Science and New Technology (Taejon, Korea, Aug. 19-23, 1996). Ruibo Lu, Juhua Zhong, Yingjun Gu and Zhaokui Zhang: “The Properties of Pc LB Films and its Alignment of Liquid Crystals”, The 2rd China-Japan Bilateral Symposium on LB Films (1994) p123-124. Ruio Lu, Qi Hong, and Shin-Tson Wu, "Electrode Array Structures of Fringe Fields Switching Mode LCDs", U.S. patent 7,405,796 (July 29, 2008). Shin-Tson Wu, Ruibo Lu, Qi Hong, Thomas X. Wu, “Flower-shaped Vertical Alignment Liquid Crystal Displays with Wide View Angle and Fast Response Time”, US patent 7,295,274 B1 (Nov. 13, 2007). Ruibo Lu, Qi Hong and Shin-Tson Wu, “Fringing Field Switching Liquid Crystal Displays using Trapezoid Electrodes”, US patent 7,199,853 (April 3, 2007). Shin-Tson Wu, Thomas X. Wu, Qi Hong, Xinyu Zhu, Ruibo Lu: “Fast Response In-plane Switching p–cell Liquid Crystal Displays”, US Patent 6,987,549 (Jan. 17, 2006). Ruibo Lu, Shin-Tson Wu, W. Y. Li, and C. K. Wei, “Transflective Liquid Crystal Display”, (on pending). Ruibo Lu, S. H. Lee, Shin-Tson Wu, W. Y. Li, and C. K. Wei, “Multi-domain Vertical Alignment Liquid Crystal Displays with Improved Angular Dependent Gamma Curves”, (on pending). Ruibo Lu, Shin-Tson Wu, Qi Hong, Thomas X. Wu: “Vertical Alignment Liquid Crystal Displays with High Transmittance and Wide View Angle”, (UCF-468). Ruibo Lu, Shin-Tson Wu, Qi Hong, Thomas X. Wu: “Multi-domain Vertical Alignment Liquid Crystal Displays using Hexagon-shaped Opening”, (on pending). Ruibo Lu, Shin-Tson Wu, Qi Hong, Thomas X. Wu: “Multi-domain Vertical Alignment Liquid Crystal Displays with Physical Protrusions”, (on pending). Ruibo Lu, Qi Hong, Shin-Tson Wu: “Multi-domain Vertical Alignment Liquid Crystal Displays with the Cross-shaped Openings”, (on pending). Ruibo Lu, Qi Hong, Shin-Tson Wu: “Sub-pixeled Vertical Alignment Liquid Crystal Displays”, (on pending). Ruibo Lu, Shin-Tson Wu: “Vertical Alignment Liquid Crystal Displays with the Discrete Openings”, (on pending). Ruibo Lu, Shin-Tson Wu and Qi Hong: “Multi-domain In-Plane Switching Liquid Crystal Displays”, (on pending). Shin-Tson Wu, Ruibo Lu, Qi Hong, Thomas X. Wu, “Flower-shaped Vertical Alignment Liquid Crystal Displays with Wide View Angle and Fast Response Time”, (on pending). Z. Ge, X. Zhu, R. Lu, T. X. Wu, S. T. Wu, W. Y. Li, and C. K. Wei, "Transflective liquid crystal display" (TRLCD with VA and BC Reflector), (on pending). Z. Ge, M. Jiao, R. Lu, T. X. Wu, S. T. Wu, W. Y. Li, and C. K. Wei, "Wide viewing angle and broadband circular polarizers for transflective liquid crystal display", (on pending). Qi Hong, Ruibo Lu, X. Zhu, T. X. Wu, S. T. Wu: “Head Mounted Display with Eye Accommodation”, (on pending). Qi Hong, Ruibo Lu, X. Zhu, T. X. Wu, S. T. Wu: “Wide-acceptance-angle Circular Polarizer”, (on pending). Ruibo Lu, Keshu Xu: “The Preparation Method of Multi-domain Ferroelectric Liquid Crystal Devices”, Grant No. ZL 98110765.6, under the authority of the National Knowledge Bureau of China. Ruibo Lu, Keshu Xu: “Ferroelectric Liquid Crystal Devices with the Multi-domain Structure”, Grant No. ZL 98223655.7, under the authority of the National Knowledge Bureau of China. Problems regarding this web site should be directed to Robert Lu. Last modified: 08/13/08.